Since opening in 2010 it has been our mission to establish New Diorama as the creative heart of the West Euston Area. A big part of our commitment to our local community is to ensure the theatre is regularly available for local organisations, groups and charities to perform, rehearse and creatively express themselves completely free of charge. This strand of our work, supported by British Land, provides vital opportunities for the full cross section of our community to come together and celebrate the culture, talent and creativity of our fellow residents. The Third Age Project's pantomime, written and performed by local residents, and attended by our local primary schools. Also from TAP - summer shows and variety performances for all ages ranging from 3 year olds to a dancing and singing centenarian from the West Euston Time Bank! 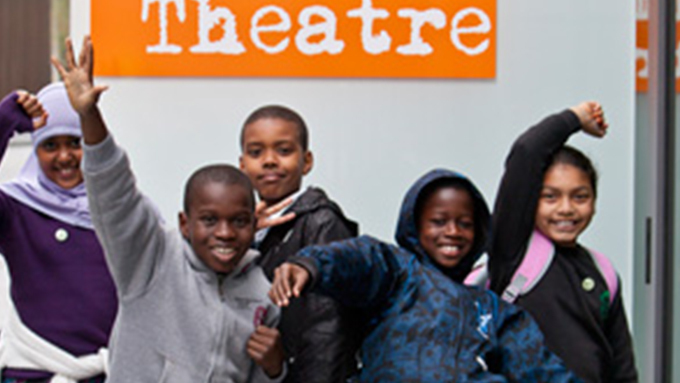 New Horizon's Homeless Youth Centre workshops and performances, created by the centre's young attendees in response to productions they have seen at New Diorama, for free. Fitzrovia Youth In Action groups creating and editing their own short films. Surma Centre's MIX IT dance company, rehearsing and performing thier own routines to sold out houses. Sing For Joy Kentish Town Choir - a self-managed community choir of around 25 people with conditions such as Parkinson’s Disease and Multiple Sclerosis, including active helpers and carers.